Is Diet Soda Pop on the Downhill Slide? Is Diet Soda Pop on the Downhill Slide? Is Diet Soda Pop on the Downhill Slide? According to an article in the Wall Street Journal (December 9th, 2013), the American public is waking up to the fact that diet soda pop should not be the drink of choice. Do Americans Gain Weight with Diet Sodas? For decades Americans have been led to believe that it was possible to have a beverage with zero calories which didn’t add any pounds. 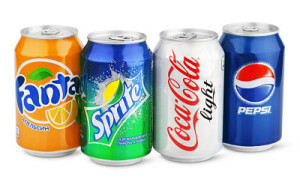 However, why do so many people who drink diet sodas have the exact opposite result? It is now believed by many that diet sodas actually are not only unhealthy, but that they add pounds even though they don’t add calories! You can do your own survey by just watching people at the grocery store. See you buys that diet drinks and the sugar free ice-cream. Usually they are people who are overweight! Even though the Food and Drug Administration, the American Diabetes Association, and the Academy of Nutrition and Dietetics all vouch for the safety of diet sodas, the American public isn’t buying the story line any more. Their own personal results are speaking louder than what any government agency is trying to tell them. Too many Americans are having serious health problems begin to fade away by simply no longer drinking these diet drinks. Susan Swithers, a Purdue University professor, recently stated in the journal Trends in Endocrinology and Metabolism that frequent consumption of such sweeteners might trigger “metabolic derangements” by tripping up body mechanisms that regulate caloric intake. Testing done at Purdue University found that rats fed artificial sweeteners actually gained more weight than rats who were fed a sugary diet. How could rats gain weight by just consuming artificial sweeteners? There are several theories, but one more glaringly stands out. What if artificial sweeteners actually slow down the metabolic rate. Thus, fewer calories are being burned! The end result would be increased weight, not weight loss! According to another study released in 2007 by the American Heart Association journal Circulation, the relationship between artificial sweeteners and health issues is quite distressing. This research was collected over 60 years going back to 1948 from people living in Framingham, Massachusetts. The study gathered information on what people ate, drank and whether they smoked. What the study observed was that people who used artificial sweeteners had a 50% higher risk of being fat, having high cholesterol, having high blood pressure and more likely to have diabetes. These studies don’t prove a direct causation between artificial sweeteners, but it is one that surely should give one pause before consuming any more diet drinks. What are some common artificial sweeteners? Sucralose, saccharin, sorbitol and aspartame are some of the more popular ones. Aspartame, in particular, is very troubling as it has been linked to cancer in some studies. As the soda companies see their sales slipping (6.8% in 2013), they are responding by redoubling their marketing efforts to combat this downhill slide. They are being driven to find more healthy sweeteners such as stevia in a push to regain market share. However, what are the long term health consequences of stevia? I think the jury might still be out on this one. The real answer to finding more health isn’t by adding a better sweetener to an already unhealthy drink. It is by changing what we drink altogether. Water needs to be our beverage of choice, not another soft drink alternative. 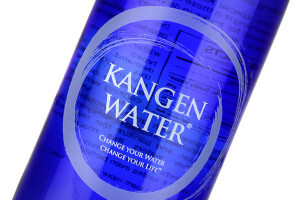 I encourage you to drink Kangen Water. When you drink the right kind of water, it not only tastes good, but it satisfies you. You might even find yourself no longer having a desire to drink soda pop. You may say this isn’t possible. Give it a try. You might surprise yourself. And the ultimate reward – you could end up feeling so much better!